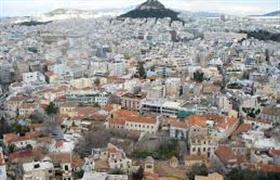 Athens, capital of Greece - one of the oldest cities in the world, whose history dates back to 3.4 thousand years ago, as well as the cultural center of the country, which is considered to be the cradle of the Western civilization and democracy. It is also a sports town. The Athens Olympic Stadium was renovated for the summer Olympic Games in 2004, having a capacity of more than 71 thousand people. The stadium hosts the final matches of the UEFA Champions League. In Athens are also located training camps and headquarters of football clubs, and in the vicinity – the ski area and slopes for climbing. Climatic conditions - more than favorable, so that properties in Athens are perfect not only for investment, but also for a personal residence. About 20 kilometers away from the city is located the international airport, serving over 16 million passengers per year, which easily can be reached by bus, electric train or by the Athens’ subway. It is an interesting fact that the "Subway" also works as a museum, exposing interesting findings, discovered during the construction of tunnels. The city offers 148 theaters, which number is more than in any city in the world. The oldest of them was built in 165 AD! Local residents are pleased with the fact that the national garden of Athens on the area of ​​15.5 hectares is located in the center of the town. Children are interested in zoo, which offers about 2 thousand of animals and birds. Millions of tourists with great pleasure visit the ancient Acropolis, the Temple of Olympic Zeus, the Tower of the Winds, as well as numerous museums, galleries and the temple complexes of the city. This fact will not leave you without rental earnings in the case of the purchase of local housing. The average cost of housing in the city is about 2000 euros per square meter. Studio apartments close to the coast are starting from 50 thousand. Luxury options from 120 thousand. Detached houses and villas - from 700 thousand. According to the European standards - it is available. Local laws do not prohibit the purchase of property by foreign nationals. You just have to contact a specialist to help you with registration of documents.